such a broad selection of the general public. gang up in my newly built studio. July 2011 to present, Bay Gallery, Colwyn Bay.... I have a rolling exhibition of a small amount of stock at Bay Gallery a community project which provides local artists a platform, and hosts low cost workshops. 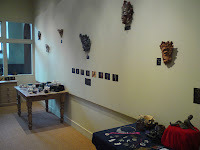 December 2011, B Gallery, online gallery. March - April 2012, Bangor Open Art Exhibition, Gwynedd Museum & Art Gallery. July 2012 - Art Takes Times Square - My work was quickly collected by enough people to be shown on massive billboards alongside many other brilliant artists in Times Square, New York. The piece 'Earth Womb' 2011, has been chosen to be featured in the book of Art Takes Times Square (sponsored by Atirsts Wanted, see; http://christinaphillips.artistswanted.org/atts2012collection). It was chosen from thousands of entrants; 'Our editorial staff combed through thousands of Art Takes Times Square entries to select a few hundred of the best works' to go into this lovely coffee table book which will have Worldwide distribution. If you would like details of how to purchase a copy please go to: http://www.artistswanted.org/site/ to find out more. My work can be viewed by appointment at my studio in Bethesda, North Wales please contact me for details. It can be part of a weekend trip or a lovely day out with a beautiful and historically interesting walk from our doorstep and great cafes in Bethesda itself. We even have a couple of very nice B n B's and there are loads of great restaurants and places to visit in the area. 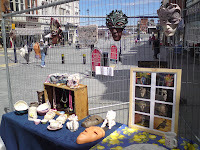 We also run occasional workshops on ceramics, mask making and mosaic, again please contact me for details. I am working toward an exhibition dedicated to unexpected images of the male of our species. If you would be interested in contributing toward this exhibition in any way; work, funds, space etc. Please contact me. I have just embarked upon part time study towards a PhD in Computer Science at Bangor University, studying impossible shadows and reflections. 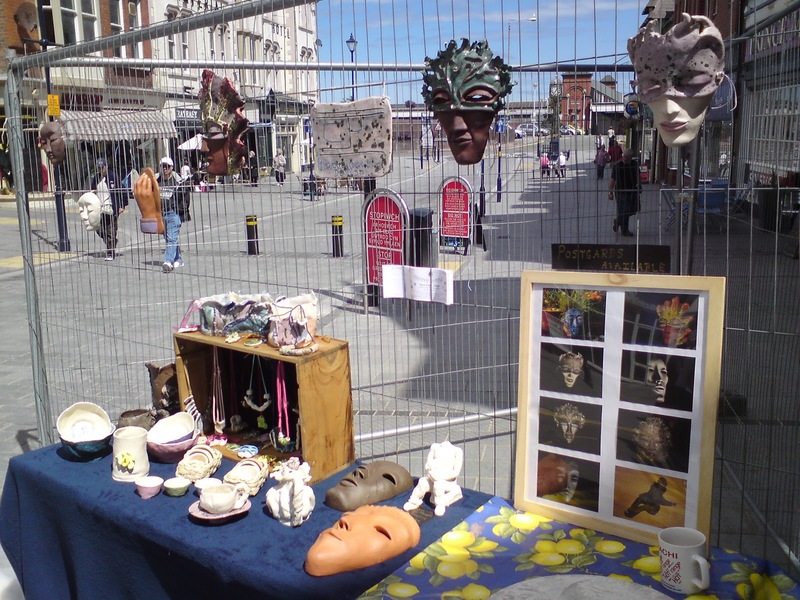 It is a cross disciplinary project encompassing Art, Mathematics, Psychology and CS and will produce some intriguing and fascinating cross disciplinary artworks.